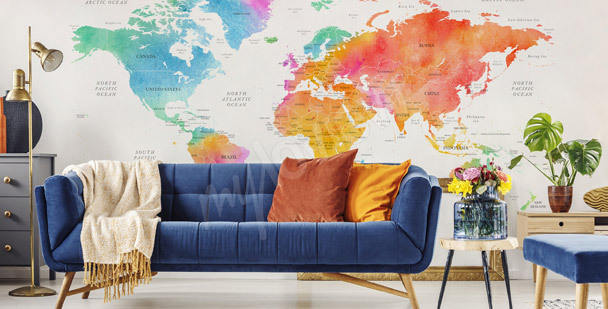 A world map wallpaper will be a great decoration of traveller’s apartments - they will inspire you to plan new travels and journeys into the deepest corners of the world. A universal decoration will look great together with decor elements of a smooth texture - both in classic and modern furniture. 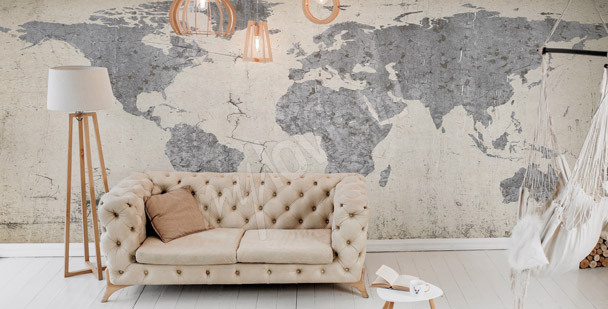 An old-school world map wallpaper can be used to complement a stylised sofa and chairs in vintage style. Graphic accents can also be successfully applied into a child’s room. A world map mural for kids will make our little ones curious about the world, it will influence their creative games and make learning easier. 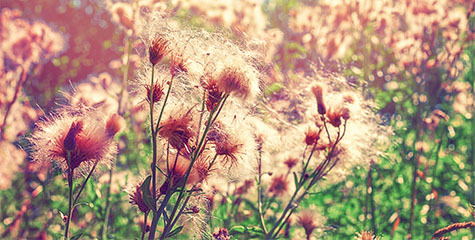 Such decoration will bring some color into the interior and will give the wall an expressive look. A world map will decorate the interior of a spacious living room or an office. It will improve the look of an eclectic styled space. A blue world map is a strong accent in children’s room decoration. Let’s apply it to the wall right over the bed. 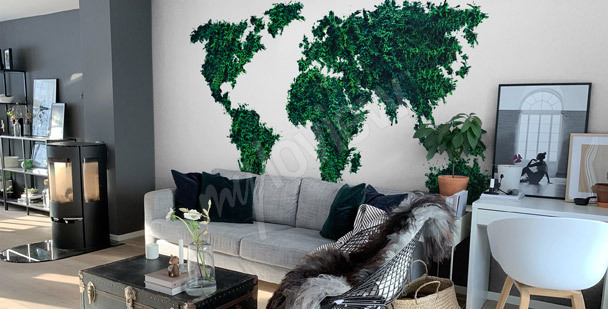 A mural with a black and white world map is a universal decoration for every type of décor . We can use it, for example, in a hall. 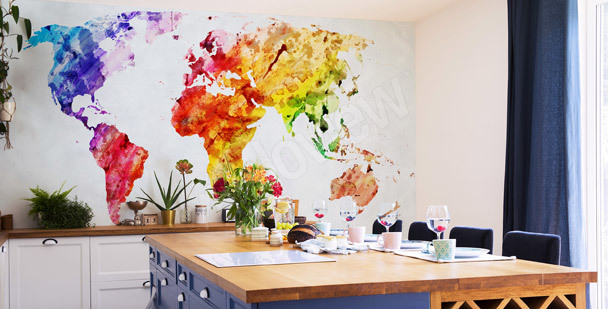 A colorful world map on a mural is an interesting addition and an indispensable educational materials for a child’s room. 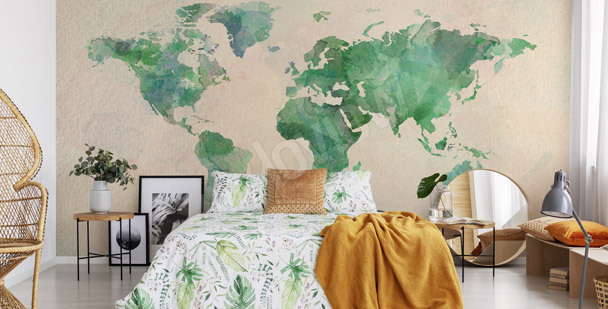 For a teen’s room let’s select a map mural in shades of green. A dynamic color scheme will lighten up an interior. A small dining room will gain an unusual character when we’ll decorate it with a colorful, modern political map in form of a wall mural. 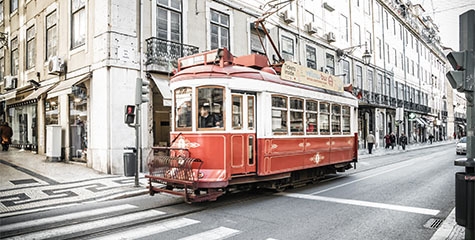 A mural with a world map inspired by retro/vintage, will boost the classic arrangement of an apartment. A traditional political map placed on a teenager’s room’s wall will attract attention of young people. A mural with a world map can be placed, for example, in a hall, where it’ll become the main decorative element. Thanks to a stylized world map placed on a living room wall, your interior will gain an elegant character. A political map in form of a wall mural is a universal addition to a decor of a child’s and teenager’s room. A modern version of a graphic wall map is a map with writings. Black and white print will improve a living’s room space. In our collection, you will find wallpaper world map in various colors and styles. 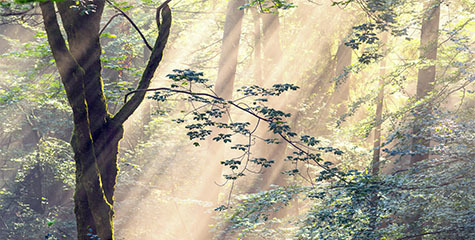 Thanks to that you will be able to select a perfect graphic for your interior. If you’re a fan of retro living rooms, a stylised old map will surely fit your taste. A graphic can be used to complement a sofa on legs and a wooden coffee table - such decoration will give your space an intimate look and will emphasize the used style. 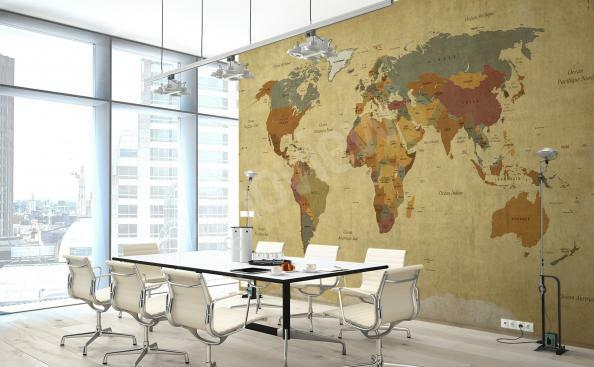 A wall mural world map in sepia will look beautiful with accessories and details in bronze and beige colors. Thanks to a colorful map, an elegant interior, will gain a fancy character - a decoration will create an intriguing contrast with toned details of a decor and will make the space more attractive. World map murals will also work great in an office, dominated by sentimental decor bits, books and simple furniture. A graphic will emphasize the beauty of crucial elements of the decor. 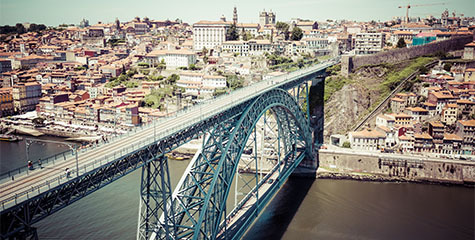 A world map panorama can also be used in other public spaces, for example in restaurants or in a travel agency. Wallpaper world map will be a perfect background for modernistic upholstered furniture - a couch and a corner sofa. This way, the wall will gain an expressive character, and the space – an effective and colorful look. 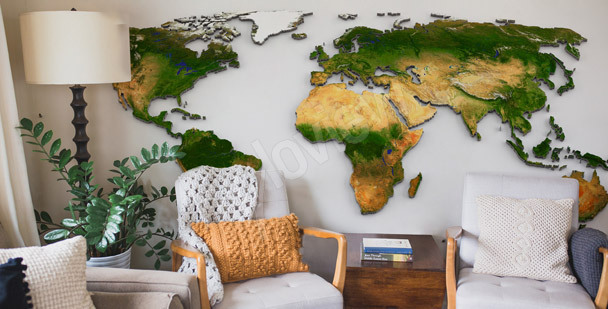 A world map panorama in 3d version will bring some color to a toned, minimalist living room - it will fit nicely with bright floor panels and a darker, wooden floor. A universal accent will add energy to an interior and will give your wall an interesting look. In our collection, you will find wallpaper world map in black-and-white color scheme - they will look great in interiors dominated by white. 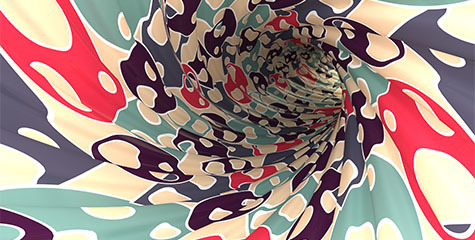 To decorate a modern interior, for example an office, you can also use effective graphics that refer to modern design. A wallpaper world map in 3d will be a perfect complement of geometrically profiled details, like a table top lamp, shelves and a modernistic coffee table. 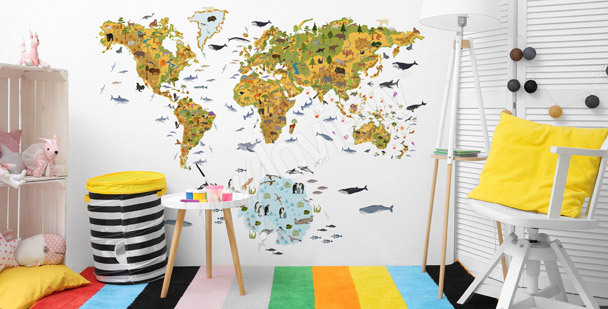 A world map mural for kids will successfully decorate every children’s room. A wall decoration will help them with studying and developing a need for discovering and learning about different cultures. 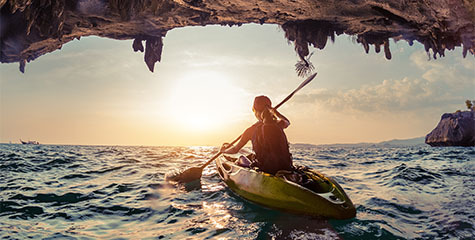 A world map mural will be a great decoration when combined with a classic, wooden bed - it will make your interior gain an expressive character and a fancy look. A graphic will bring some color into a child’s room - it will combine well with teen furniture and standard equipment. A world map mural for kids is characterized by a pleasant, pictorial and a favourable to child’s imagination development graphic design. Such detail will make your interior look more cosy- it will warm up a toned decor and will make the time we spend in it more pleasant. In our collection, a world map wallpaper can be found in pastel version as well as more intensive and contrasting colors. 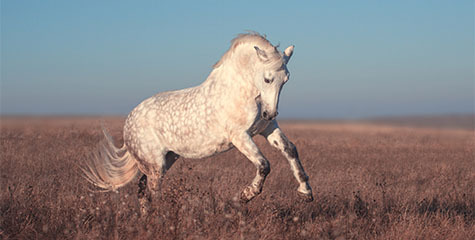 Thanks to that, you will successfully fit a color palette to the shades used in your interior. 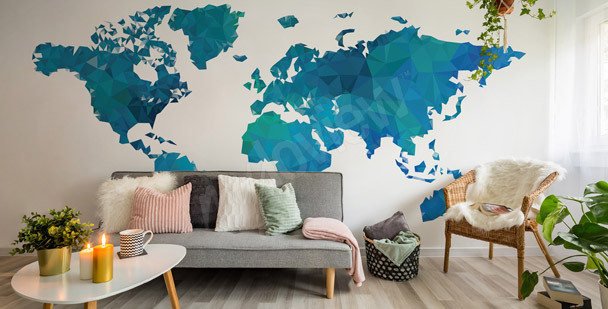 In our shop’s collection, you fill find a world map wallpaper made especially for kids, that’s why your little one won’t have any problems with reading names of different cities and countries. Such decoration will be a successful study aid. 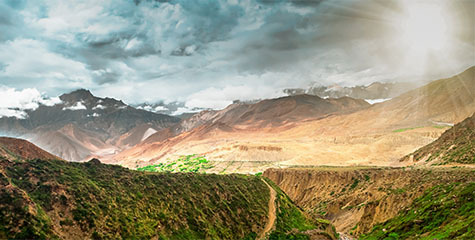 A wallpaper world map will perfectly fulfil its function during study time, and above all, it will instantly improve every traditional arrangement.